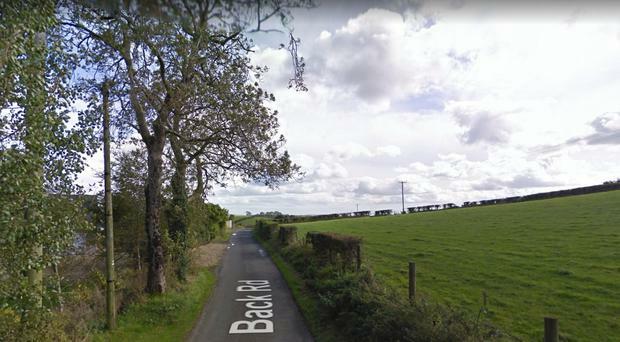 A man who died after a tractor he was travelling in left the road in County Down has been described as "an absolute character". Philip Capper, who was in his late 20s, was a passenger in a green John Deere tractor that is believed to have left the Back Road in Drumbo shortly after 9.15pm on Friday. DUP MLA Jonathan Buckley told the Belfast Telegraph he has known Mr Capper since he was six-years-old. "It was absolute desperate," he said. "No one wants to get that call to hear a friend has been killed in a road traffic accident. Philip was an absolute character to everyone that knew him. He loved farming life and was such a big character in his own right. "It is gutting for everyone - I know his family very well, I have known them all my life, and they had another cousin that was killed on the roads eight months ago. "This is the second member of the family killed on the roads in the last eight months. "He had a wide friendship group covering most of Northern Ireland. Our thoughts and prayers are with the immediate family as them come to terms with this awful tragedy. "It is hard to take in a register what has happened." Mr Buckley, who represents Upper Bann, said he did not know the exact circumstances surrounding the man's death. Mr Capper's funeral will take place at Banbridge Baptist Church on Wednesday. Police are appealing for anyone who may have dash camera footage from the area, anyone witnessed the collision, or anyone who was travelling on the Back Road and who observed the tractor prior to the collision to contact local officers in Lisburn or the Collision Investigation Unit on 101 quoting reference 1474 06/07/18.